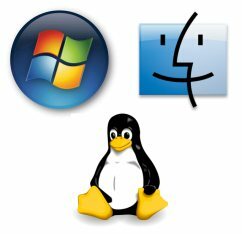 Is Linux support ever coming? Yes, I know it's been asked a million times, but not recently enough. I've read inconclusive articles around the web that Linux support was dropped from the scope. Is this true? I'm asking purely out of curiosity as it's been quite a while since I've completely switched to Chrome. No, its development was not dropped. No specific mention has been made about a mail client for Linux, but there are been many official replies on the blogs about a Linux version — also from the Team leader for the Linux version. “When it's ready” is the only answer you will get as for when it will be released. It would be nice to see an update to 12.16, seeing as how the windows version is now 20+. How about someone from Opera updating all of the Linux users as to when we might expect this update to happen, as I am sure that I'm not the only one wondering as well? A nice idea would be to release linux version of "Opera Blink" for the most widely used linux desktops (Unity / Gnome / KDE / XFCE are used by almost 90-95% of linux users) and then, time after time, support other flavors & GUIs too. Has anyone tried the linux version of Maxthon Browser? If you try it you will be surprised, and you know why? Because after running the browser you are presented with the known Maxthon gui... but if you enter into the browser's settings, they look more or less like... chrome! As if Maxthon for Linux is Google Chrome...skinned! But, at least, Maxthon made something to show to the linux users that they aren't ignored!!! I think Opera will be wellcome in open community, and all kind of contributions will appear. Because that's what happen to openpeople. "waiting a position about Opera for Linux"
I know it's been only a month since my last comment in this thread, and i also know that "difficult" things like Opera Blink for Linux cannot happen within a month. We only know that "it's being cooked". The so long period of waiting reminds me of Yandex Browser! It's been almost 2 or 3 years (or even older, i don't remember exactly) and in their site they STILL say that they're preparing a linux version! Wow, it must be such a difficult thing, especially if you think that Yandex Browser is nothing more or less than Google Chrome slightly modified to contain Yandex services instead of Google. I know, you will tell me for one more time that Opera isn't the same and that there are so many different linux distros and desktop envirnoments... But, seriously, it's been 3 months ago since I read about a "ready very soon" version of Opera Blink for linux in a blog (i don't remember the exact name but, supposedly, it was a blog of a developer from Opera) and there's nothing yet, not even a developer version, a pre-alpha, something to tell us that "here it is, it's coming"!! And all this happens while Opera is preparing for version 21, Opera Next is version 22 and Opera Dev is at version 23!!! It looks like I was right when I said in one of my past comments (i don't remember in which thread) that Opera for linux isn't going to be released before summer 2014, it won't be released during the summer, not even after the summer and generally not during 2014!!! Maybe end of 2015, even 2016... who knows!!! On my trip to Opera's office in Poland 2 weeks ago, I also asked desktop team about this issue. And their answer almost the same as anyone else has quoted above, "When it's ready, we'll announce it.". When I started using Linux, the only graphical browsers available were Netscape Navigator, Konqueror, and Opera. That was 14 years ago. Of the 3, Opera was easily the best. In Windows, my mail service required I use IE, but in Linux I've always used Opera. What is more important than features, IMO, is security. If Opera for Windows is already at version 22, while Opera for Linux is only still at version 12, does that mean that Opera at my Linux install is less secure than Opera-for-Windows? That is the questions that matters: how insecure is Opera 12-for-Linux compared to Opera 22-for-Windows? (This being said - and, no offense, dear Opera devs - I use Firefox before Opera, because I see no reason to switch to Opera. But this being said too, I can please the Opera devs by saying that on my (older) Android smartphone, I have Opera Mini installed, and it works quite nicely.). The brand new Opera Developer 24.0.1537.0 - this time for all three friends! The official announcement, and the change log. Thank you l33t4opera! I just found this thread and I'm liking the new version so far! What a drag. After almost a year of leaving Opera's server listed among my APT sources for no reason except that Opera used to be my favorite browser for about fifteen years, I finally saw 'opera-developer' (v. 24.0.1537.0) show up under aptitude's 'New Packages' heading. But selecting the package for installation only breaks it, because it depends on libc6 version 2.15 or newer, which is listed as 'UNAVAILABLE' for Debian's stable release (a.k.a. 'Wheezy'). If, just to install this browser, I must upgrade my OS, or at least replace that required library with a manual upgrade that defeats the purpose of running an OS known for its stability, Opera should not be storing it where Wheezy's package management system can be expected to find it automatically, as if it were compatible software for that OS when it is obviously not. Way to get my hopes up for nothing. Thanks a lot for hint and long awaited Opera Linux version. I just installed this on Linux mint cinnamon 14 Nadia. Everything that has been broken for me is fixed so far. Enormous amounts of time fixing speed dial up, and getting tabs to open on start up. Hate the menus that are gone. Zendesk memory leak is gone now too, which used to cause opera 12.16 to crash. Flash doesn't seem to work. Where it was no problem on 12.16. We'll see how this plays out. I have already received one update in a week to this dev version. So glad having to use FF or chrome for this and that is over, and I can kick them to the curb. Hope this thing goes full support soon. How can we as a community help?